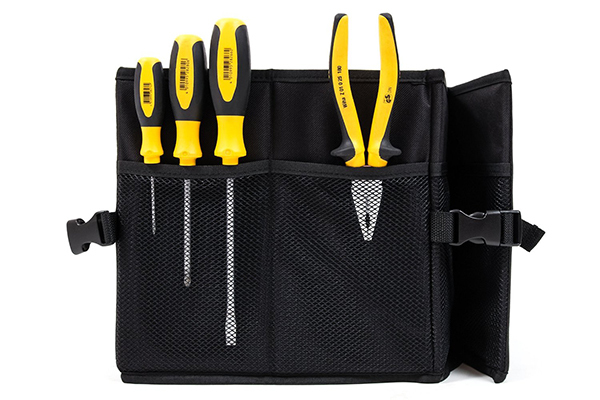 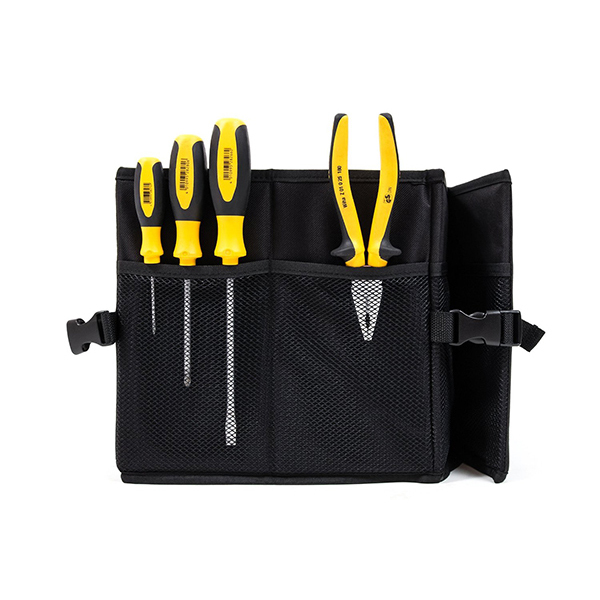 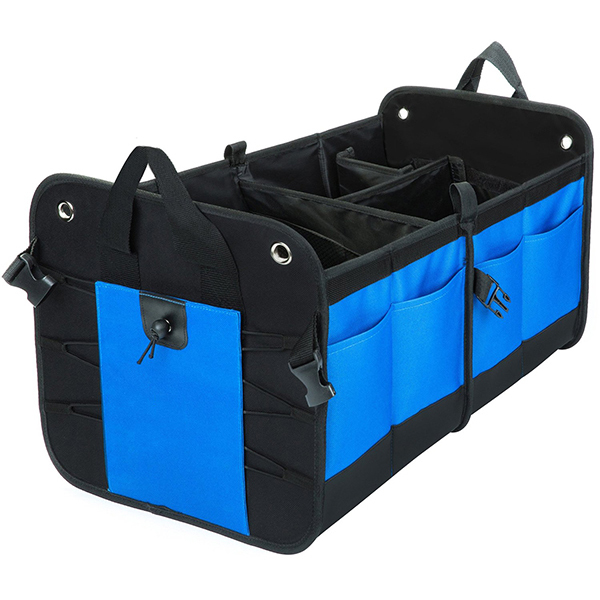 Made of extra durable polyester fabric with excellent workmanship, hold up to 75L. 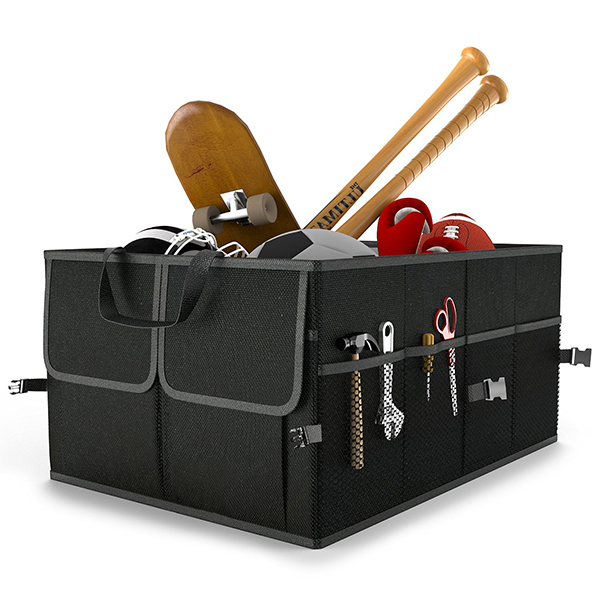 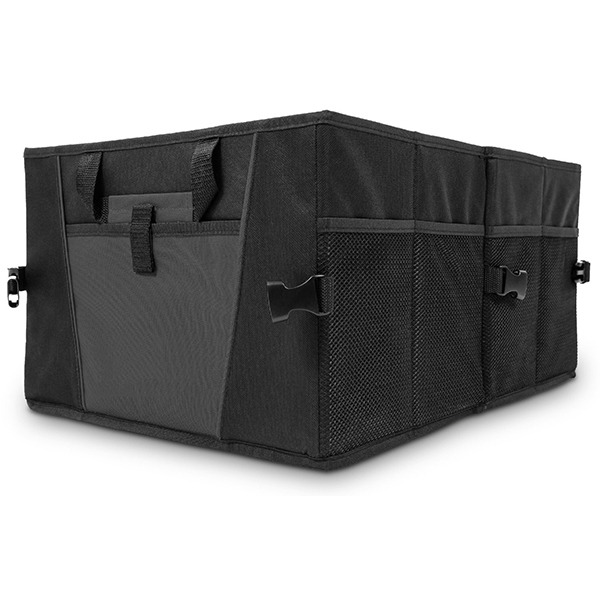 Our Trunk Organizer keeps your supplies neat and safe. 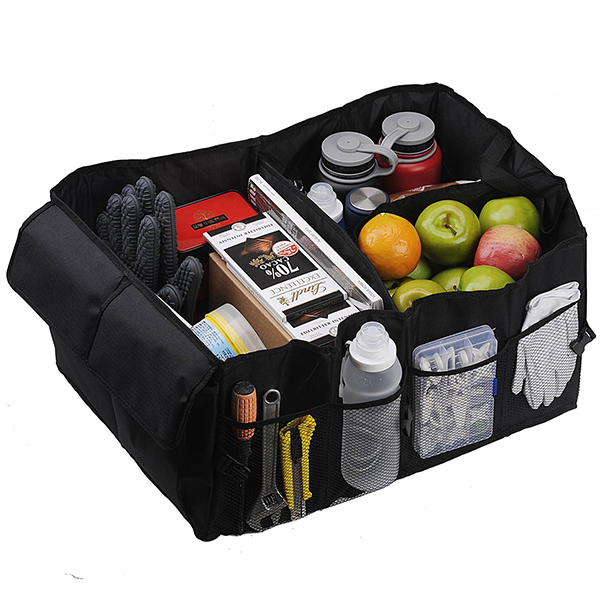 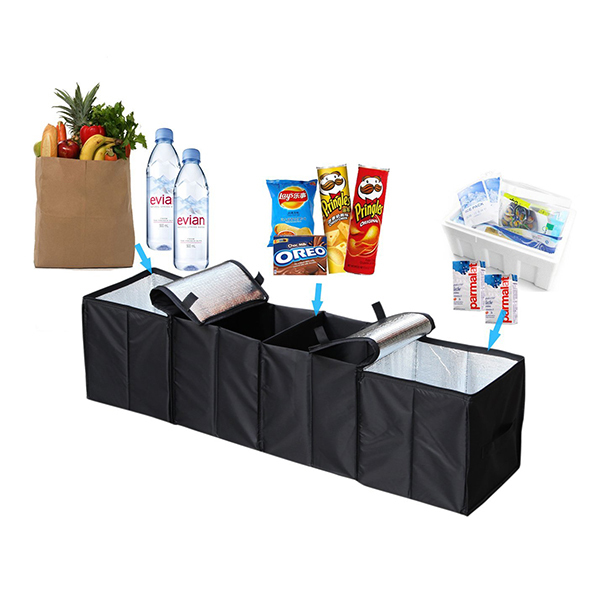 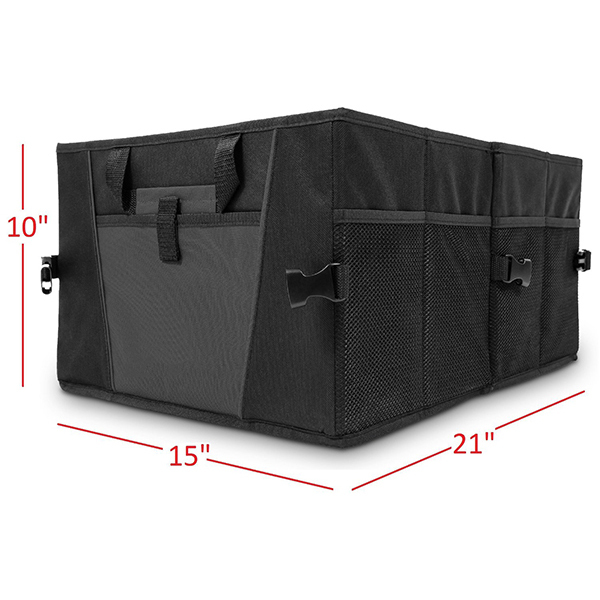 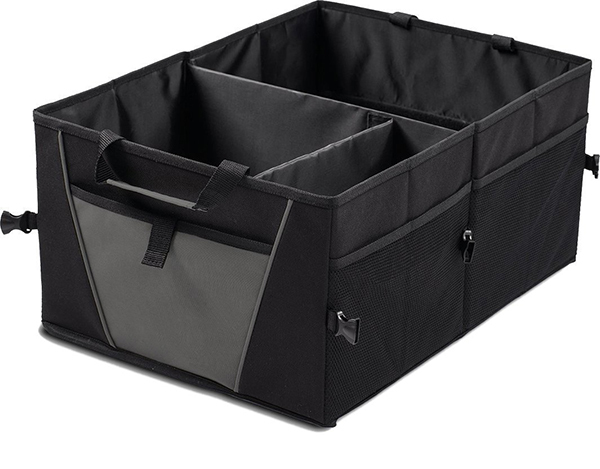 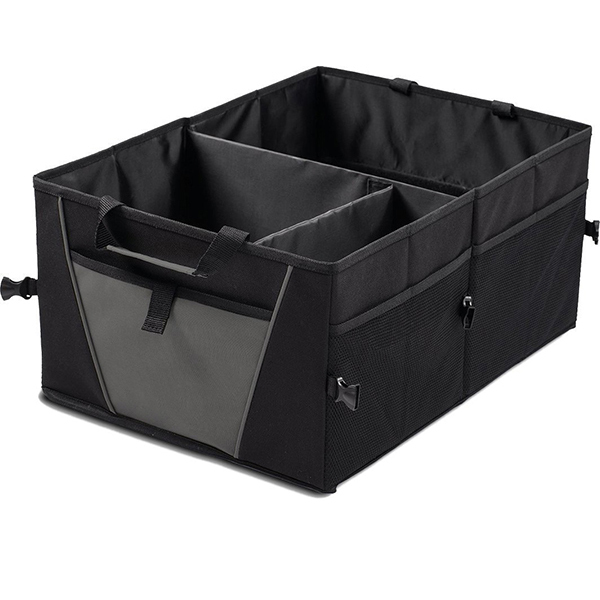 21 inches long,15 inches wide and 10 inches tall, provides plenty of space to store your groceries, tools and cargo. 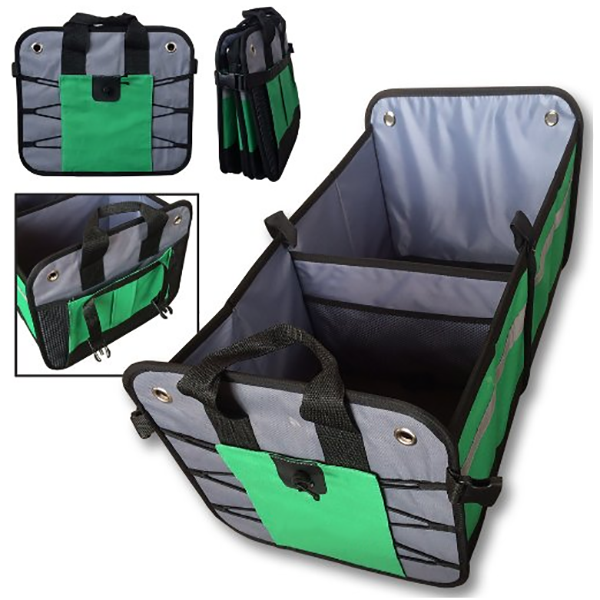 Can be folded to pocket size for easy storage. 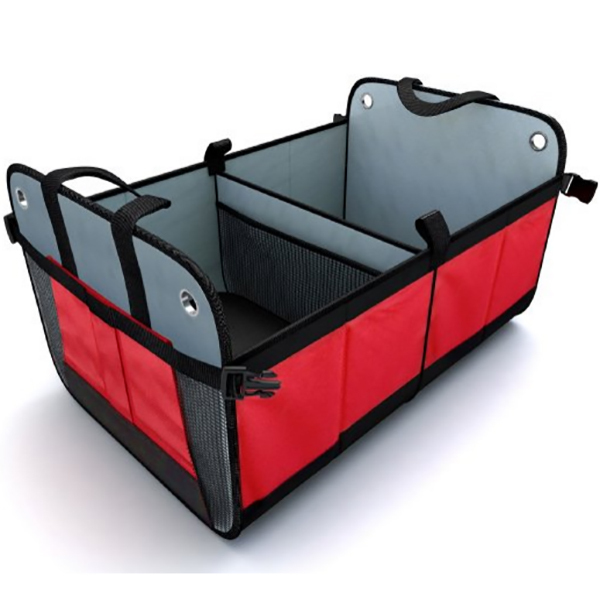 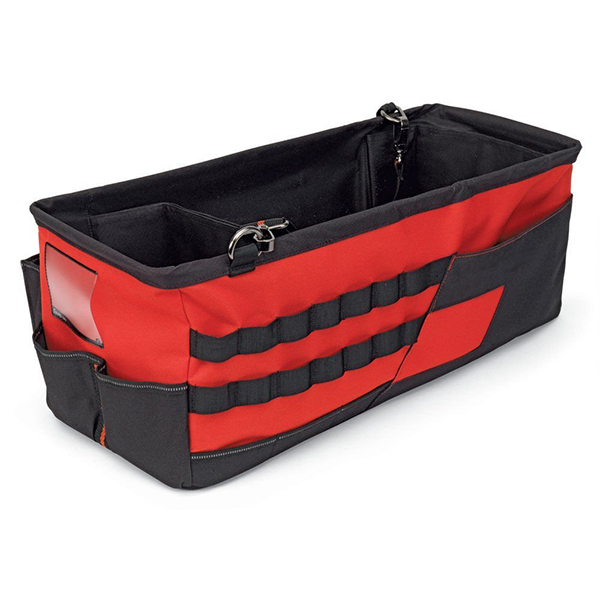 Non-slip rubber and 2 removable Velcro strips on the bottom prevent Car Trunk Organizer from rattling around. 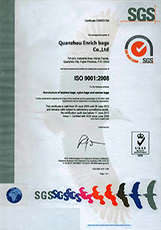 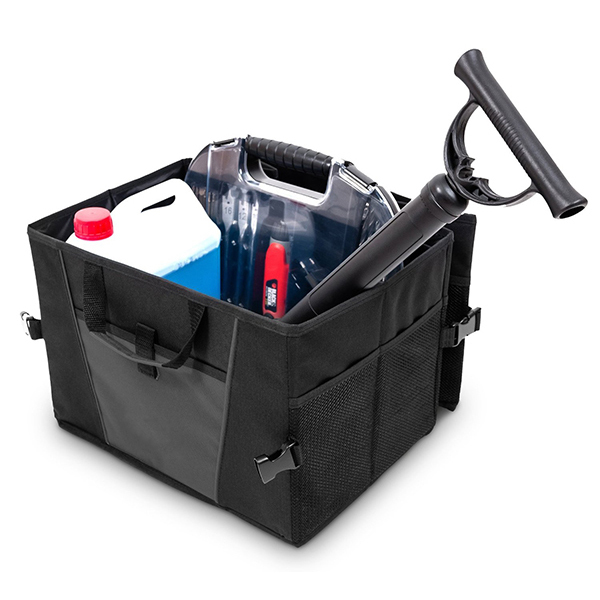 High-quality polyester fabric is incredibly easy to clean. 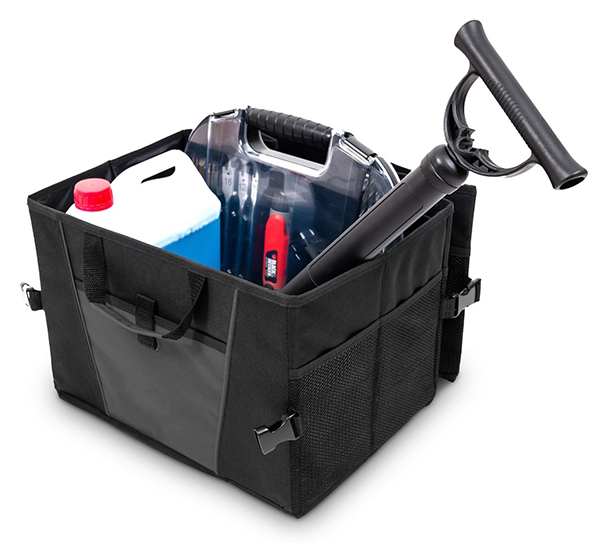 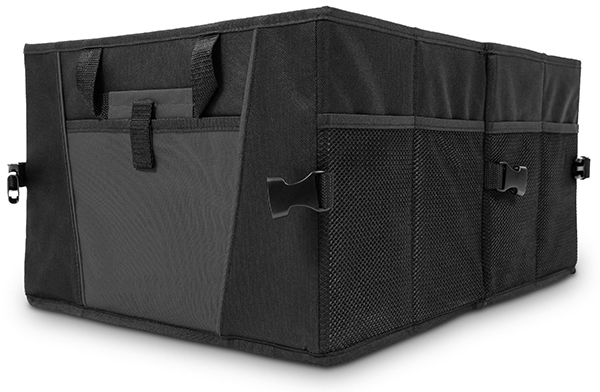 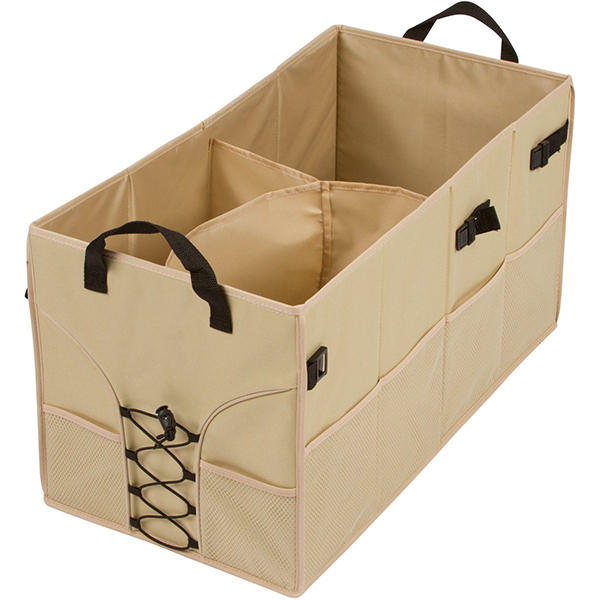 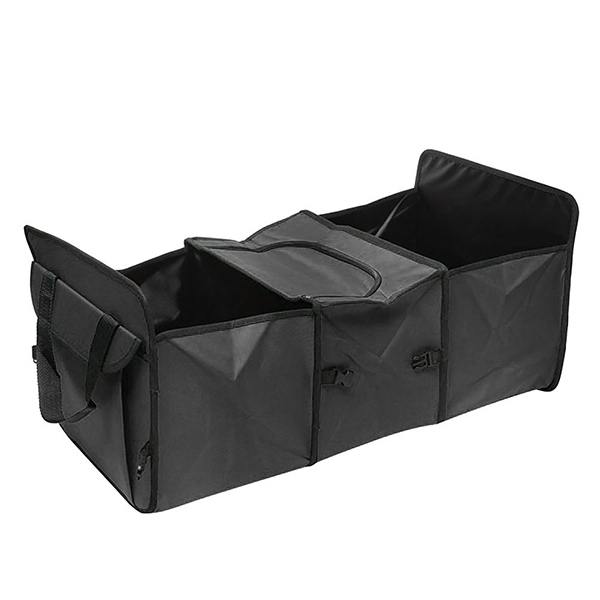 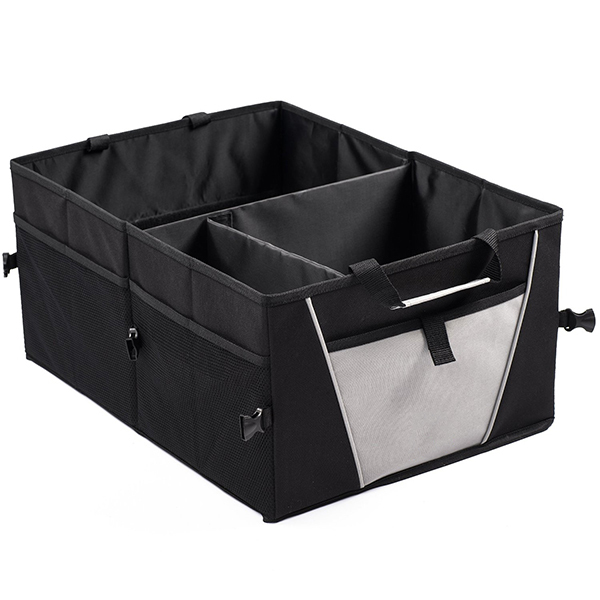 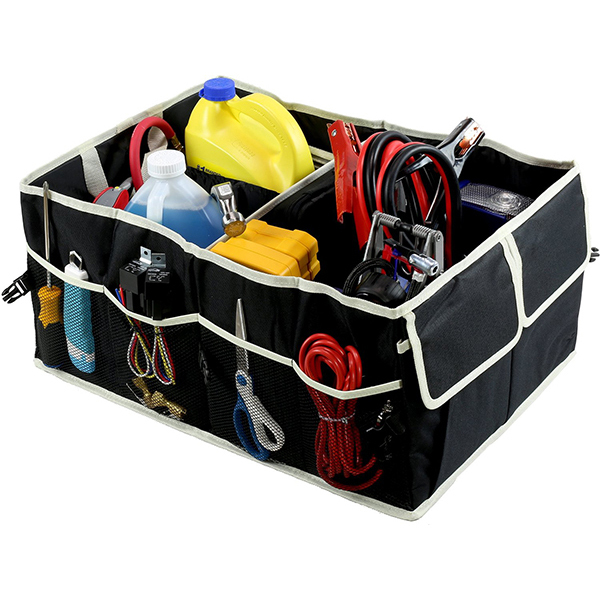 Two large compartments with removable divider, four mesh side-pockets and Velcro-secured front pocket, our Auto Trunk Organizer allow you to fully organize your supplies.